Greek Italy. Southern Lucania, Sybaris. 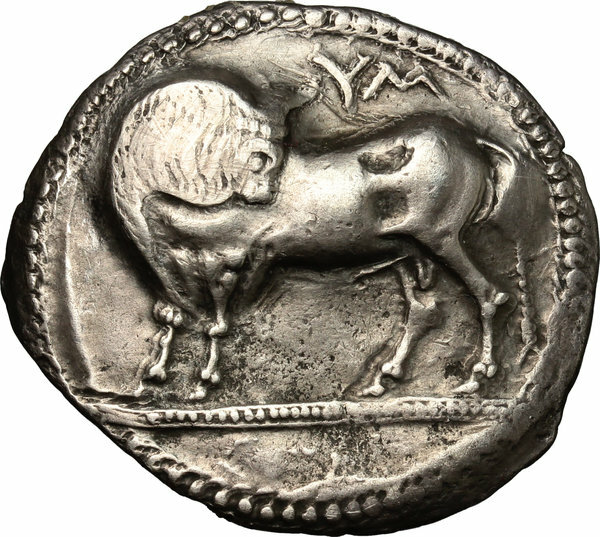 AR Stater, c. 550-510 BC. D/ Bull standing left on dotted exergual line, looking back; above, YM. R/ Incuse bull standing right, looking back. HN Italy 1729. SNG ANS 823. AR. g. 7.70 mm. 32.00 An attractive example, brilliant and prettily toned. About EF. 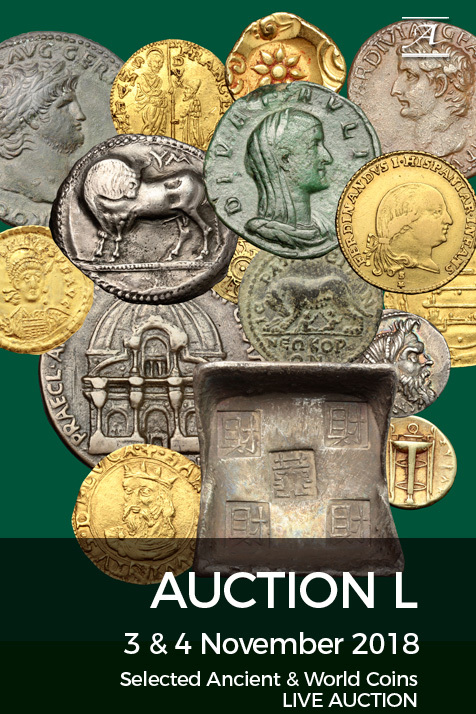 The first coins to be struck in Italy are of a unique and original form whose invention has been attributed to none other than Pythagoras, the Samian philosopher and mathematician with a reputation for being a skilled metal worker who migrated to Italy in about 530 BC. Impressed in relief on one side and incuse or intaglio on the other, perhaps adopted from repousè work, these silver staters were struck on the Italic-Achaean standard unit of about 8 grams which on the authority of Aristotle was called nomos, meaning 'law or convention'. The bull of this prolific issue is probably the tauromorphic river-god of this Achao-Troezanian foundation which lay on the fertile plain near the mouth of the river Krathis. After its foundation circa 720 BC Sybaris expanded rapidly through agriculture and commerce, founding Laos, Poseidonia and Skidros, its very name as an adjective, Sybaritic, becoming a byword in ancient literature and modern parlance for self-indulgence and luxury. 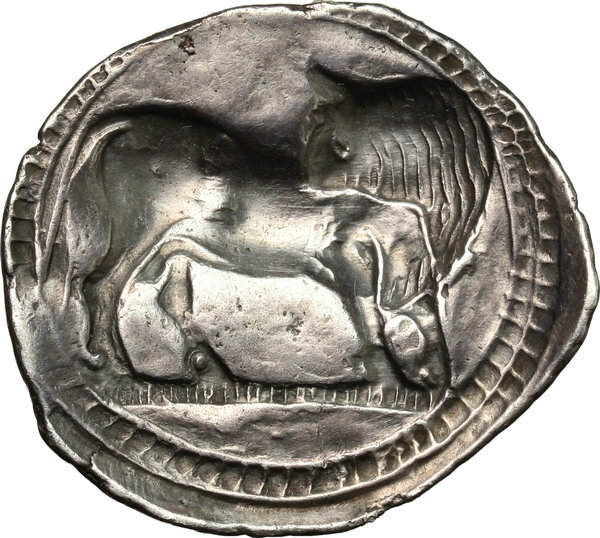 The well documented destruction of the city by the Krotonians in 510 provides a certain terminus ante quem not only for this issue, but an approximate date for all the other mints of southern Italy producing coins of similar weight, striking technique and fabric.